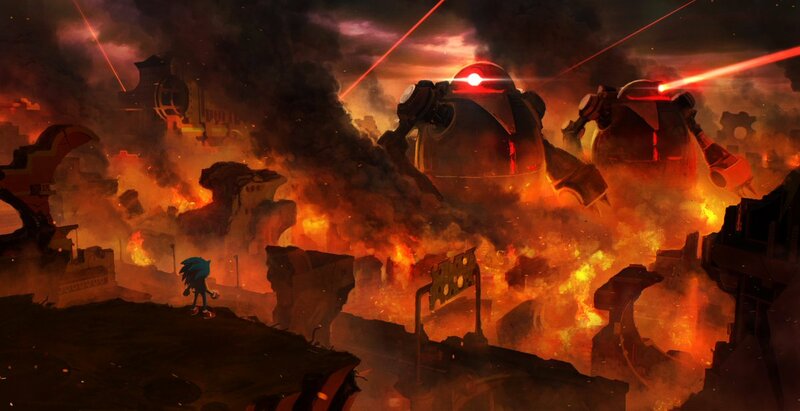 If Sonic Forces is leaving you with a bit of a Sonic ’06 vibe, what with it’s burning, apocalyptic cities and all, it shouldn’t surprise you. 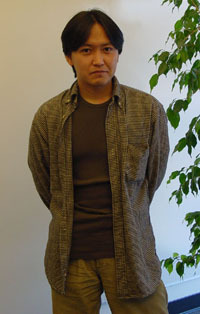 After all, the producer of Sonic Forces is none other than Shun Nakamura, the director on Sonic ’06 as well as Samba De Amigo, Billy Hatcher and The Giant Egg and the well-reviewed, but often overlooked, Rhythm Thief & The Emperor’s Treasure. Nakamura himself posted his involvement on his Twitter account. This news comes just shortly after the game’s title reveal as well as the announcement that Tomoya Ohtani will be composing the game’s music. An official gameplay reveal video is expected to arrive sometime tomorrow. Sonic Forces is due on Nintendo Switch, PS4 and Xbox One this holiday season. SEGA of Japan have today launched their 25th Anniversary website, and have already begun to populate the page with events and items set to be released for this year. 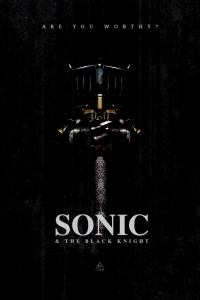 The Sonic Stadium has uncovered what appears to be an unused promotional poster for Wii exclusive Sonic and the Black Knight. The poster was created by a company called KJSCoverArt who have designed a lot of album covers for various artists, as seen on their portfolio. We assume this image must have been made pretty early on because you’ll notice Sonic is wearing two of the same gauntlet he wears in the game instead of just one, as well as a helmet, which looks much like Shadow/Lancelot’s. Other changes include slight differences in Caliburn’s hilt and the game’s logo. What do you think of this artwork? Would you have preferred Sonic to have worn more armour? Speak out in the comments. A user at NeoGAF named HUELEN10 (thanks!) uploaded a 4 minute video showing a first look at a level and mid-level fights with Eggman being played on an iPad Mini 3. How you find the game to look so far? 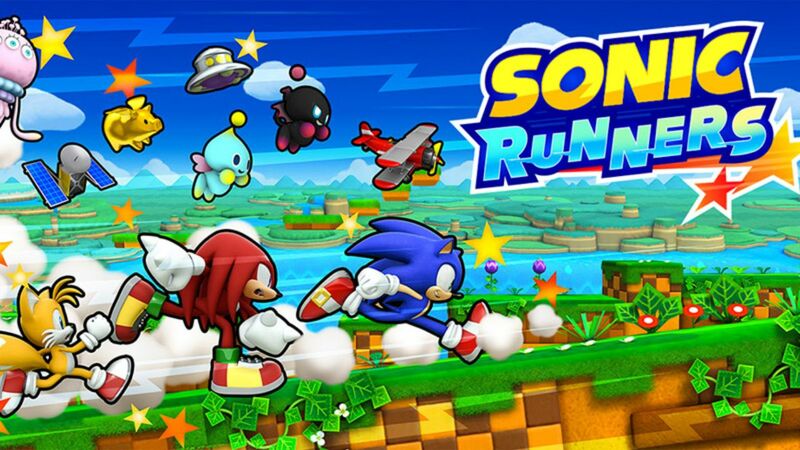 Sonic Runners’ music has Unleashed its inner Colors. Ahem. Tomoya Ohtani, who most know as the main composer of Sonic Unleashed and Sonic Colors, confirmed on twitter that he will be composing for the game. Now does that mean he is again the main composer remains to be seen. Thanks to TimmiT at NeoGAF for the heads up! SEGA Japan has announced their plans for the upcoming Tokyo Game Show that will be held September 19th-22nd and Sonic Lost World will be among the games playable at the event on both its Wii U and Nintendo 3DS platforms. On September 21st Sonic Team head Takashi Iizuka and sound director Tomoya Ohtani will be delivering a presentation titled (in Google translate) “Introducing the charm of “Sonic Lost World” The latest series! ” The presentation is scheduled from 11:00 to 11:45 JST, which translates to 03:00-03:45 BST the same morning for us in the UK. Introducing the charm of “Sonic Lost World” The latest series! 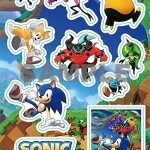 SEGA will also be giving away the below Sonic fan and Sonic Lost World sticker sheets. 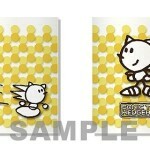 A mug featuring Sonic in his Sketchog form will also be available to buy for 1,500 yen. 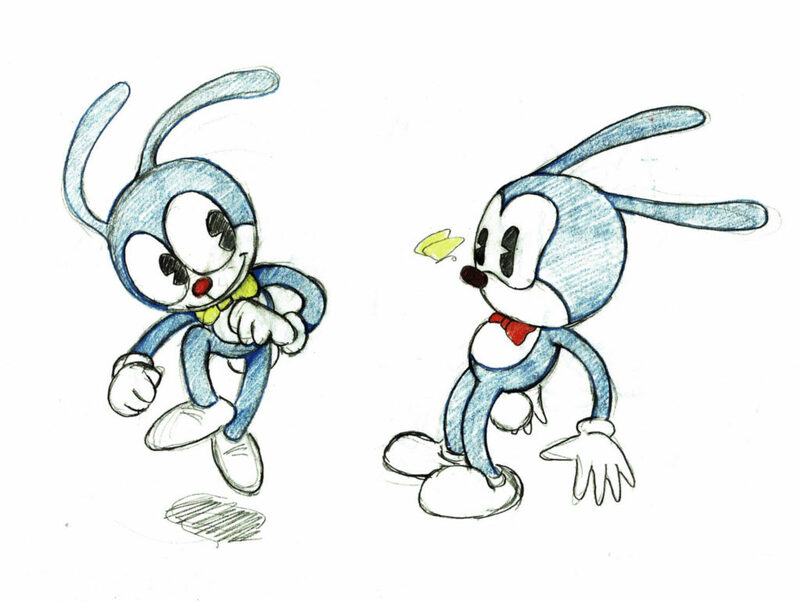 SEGA has just posted the above Sonic CD developer diary video on their blog. 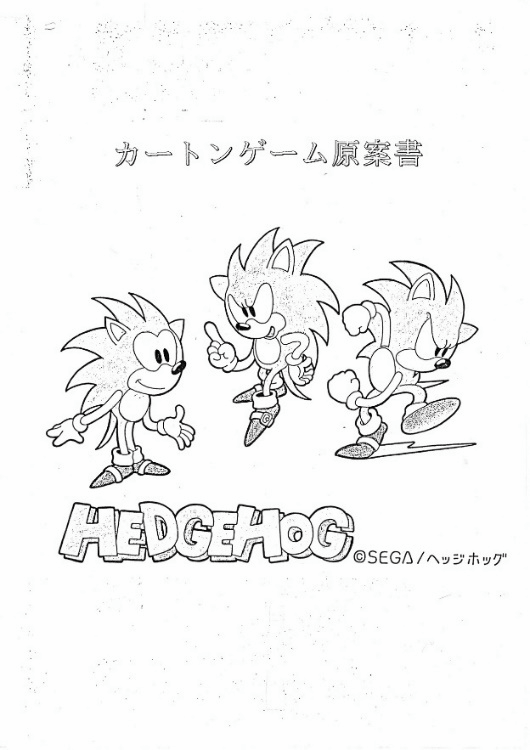 In the video Sonic Team Art Director Kazuyuki Hoshino gives an insight into the creation of Sonic CD‘s logo, characters, enemies, bosses and stages. 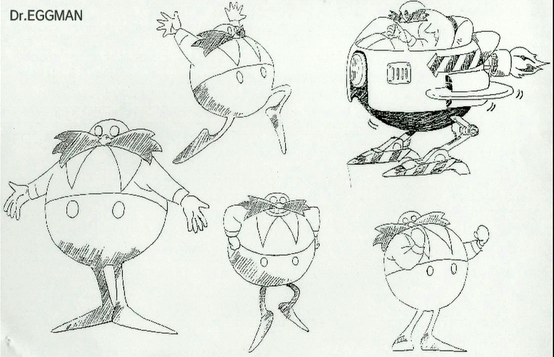 It’s an interesting watch, and even features some never-before-seen concept sketches. Thanks to StrickerX-mas at the SSMB for the heads up! What genres and media would you like to see the Sonic franchise explore? Let us know in the comments. 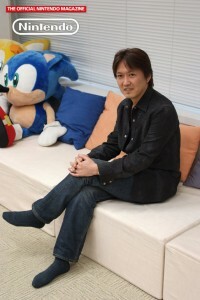 In an interview with Gamasutra, Sonic Team head Takashi Iizuka has explained that he would like to make a new standard Sonic in 2012 and the years ahead. 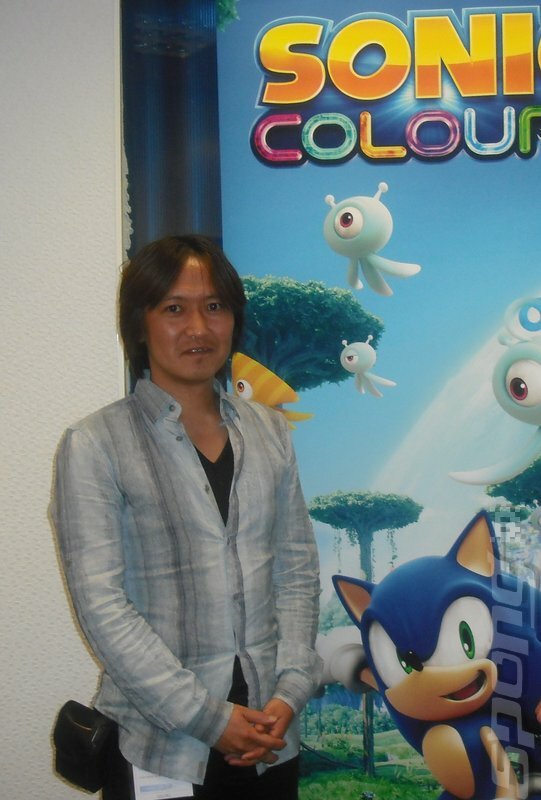 Rather than continue on with the formula built with Sonic Generations, it appears Iizuka would like to develop something fresh in the future. It seems that as far as current-gen Sonic goes, there have been false starts. 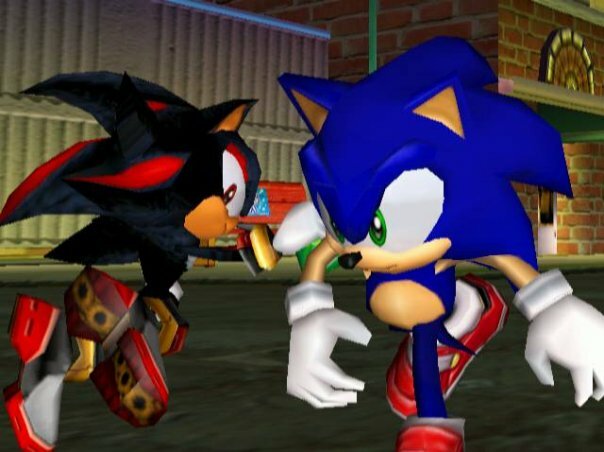 The PlayStation 3 Sonic, the first one, was supposed to be a new beginning, and then there was Unleashed, which had good and bad about it. It seems like Generations is yet again starting over; are we at a point where you feel comfortable with the mark you’re making and can move forward? I wouldn’t say that I think Generations is a new start. Instead, it’s more of the peaks of the past 20 years, is the way we’re approaching this. Generations is about taking the past 20 years of history and rolling it into one really fun product. 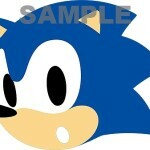 I think, as a result, I would like to make a new standard Sonic, a modern Sonic if you will, in 2012 and beyond. You can read the full interview over at Gamasutra. Would you like to see fresh new Sonic experiences in the future? Share your thoughts in the comments section below. Thanks to RUSSTYBONE and interface for the heads up! As we reported October 19th, SEGA France and Sonic team head Takashi Iizuka held their Sonic Generations presentation at the Paris Games Week yesterday morning, and thanks to attendee funkyjeremi83 we have video footage of it. The “new” stage shown was Rooftop Run, which had previously only been shown in screenshot form. As you can see in the video, Rooftop Run has changed greatly compared to its Sonic Unleashed counterpart. The stage has been given a big facelift in presentation and because it’s one of the last stages in Sonic Generations, the difficulty has been increased. The full 9 stage hub world was also shown at the presentation, and again thanks to funkyjeremi83, you can see footage of that, too. Thanks to Guito, dbgtsonicx and SSMB member Ryan91 for the heads up! Gaming news site GameSpot has posted up the above video interview with Sonic Generations producer Takashi Iizuka, director Hiroshi Miyamoto and sound director Jun Senoue. The 4 minutes and 52 seconds long interview covers topics such as level selection, music and the set-up for the game’s story. Thanks to Graham for the news tip and to Woun for the YouTube upload! In an interview posted today at Pocket Gamer, Sonic Team head Takashi Iizuka has explained why he thinks Sonic games haven’t fared too well with critics over the last several years. 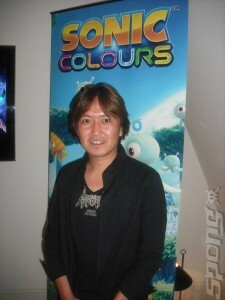 Iizuka says that over time Sonic’s various titles have been shared out across different teams, where each one has their own ideas of what makes a Sonic game. This is now changing, as Iizuka is taking full responsibility and control over all Sonic games going forward and hopes this will improve things. So originally it was more or less the same team working on all the different Sonic titles, but after a few years, for various reasons, we started to delegate Sonic games to different groups of people. And everyone in the office has their own idea of what Sonic should be, so we started to see slightly varied, slightly different directions of Sonic games. I was conscious of this, so I’m now back with full responsibility of all things Sonic. I have control over the direction of not just Sonic Generations, but all the Sonic titles that we will develop in the future. So I have more control, and hopefully this will provide better appearances for future titles. Sonic Generations sort of acts as the end of one period. 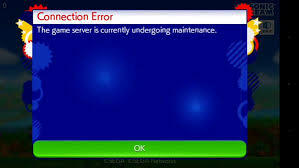 After Sonic Generations, we will work on new Sonic titles. There’s going to be a whole new adventure, of course. For the digital and mobile space, we have Sonic 4 – Episode 1 is already out, and we’ve already started creating Episode 2. We’re going to continue to explore the reimaginationing of classic Sonic, but at the same time we will also keep looking into the gaming space around modern Sonic games. To read the full interview, which includes information you may or may not already know about the 3DS version of Sonic Generations, head over to Pocket Gamer. There’s good news tonight for Sonic fans going to this year’s Gamescom event, with the announcement that Takashi Iizuka will be attending. The Sonic Team head disclosed the news of his attendance just 4 hours ago on his Facebook page with the short message you see below. I’m going to Germany for Gamescom! 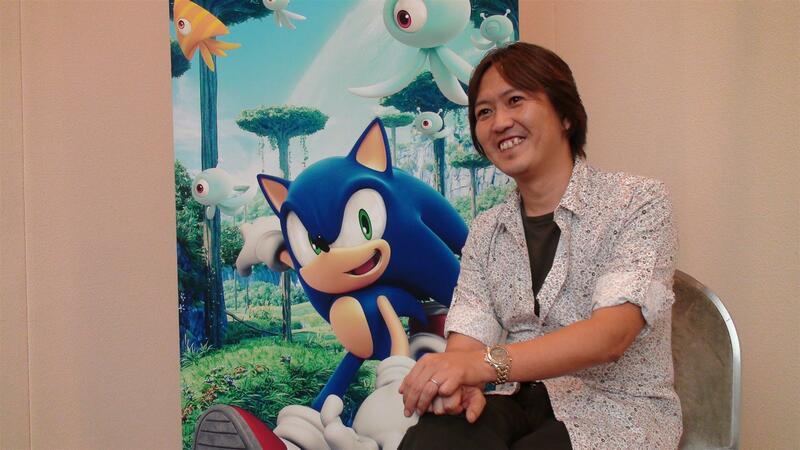 Iizuka has been very busy attending events around the world all year celebrating Sonic the Hedgehog’s 20th Anniversary and it doesn’t look like he’s going to stop anytime soon. We told you last week that SEGA will be going to Gamescom and will be designing their booth in the style of Green Hill Zone from the first Sonic the Hedgehog game on Mega Drive/Genesis. 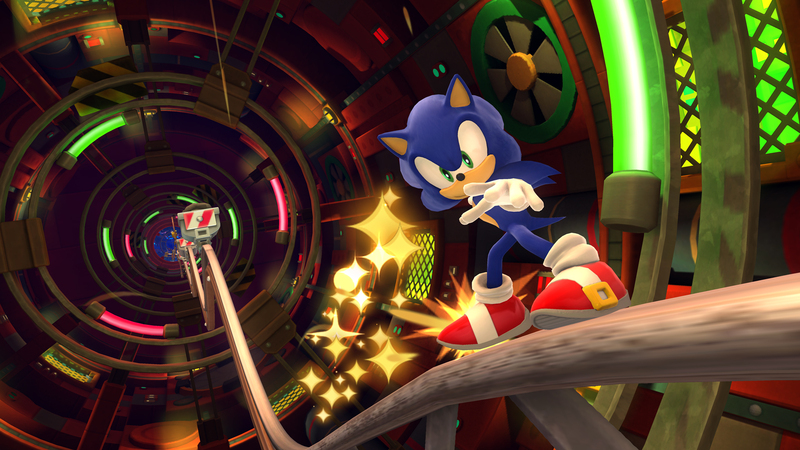 Attendees will be able to go hands-on with both console and handheld versions of Sonic Generations and Mario & Sonic at the London 2012 Olympic Games at the event, too. Now we have to wonder if Iizuka is attending just to help SEGA with the Sonic 20th Anniversary celebrations and to do the usual interview rounds, or does he have some Sonic announcements to make? I guess we’ll find out this week. Gamescom will run from 17th-21st August at the Koelnmesse in Cologne, Germany. Following August 5th’s portion of an ONM interview with Sonic Team head Takashi Iizuksa regarding pleasing fans of the older Sonic titles, the magazine has posted up the full interview on their website. The interview is made up of questions from fans about the Nintendo 3DS version of Sonic Generations, but as is the norm so far for the portable edition, there are not really any new details about the game to share that we haven’t known for a while now. 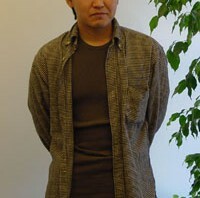 Outside of that, Takashi Iizuka expressed an interest in making titles for Nintendo’s new home console Wii U. You can read the interview at ONM’s website. Would you like to see a new Sonic game on Wii U? Let us know in the comments. In a portion of a soon to be published interview with ONM, Sonic Team head Takashi Iizuka has expressed difficulty to please old Sonic fans when creating new Sonic titles. 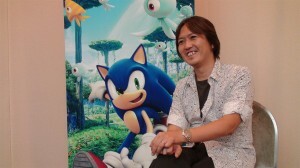 Iizuka says the team are always making efforts to build new gameplay innovations, but they then find it hard to please the fans who prefer the gameplay found in the older games. With Sonic Generations, Iizuka thinks classic fans will find some enjoyment, though, and he says Sonic Team is looking into continuing the Sonic 4 series, too. “Our team are always trying to present new gameplay innovations so it’s hard to please fans who like the gameplay from the older games,” said Iizuka. As revealed yesterday, copies of the new issue of Nintendo Power have been delivered to subscribers, which unveil a Nintendo 3DS version of Sonic’s big 20th Anniversary game Sonic Generations. 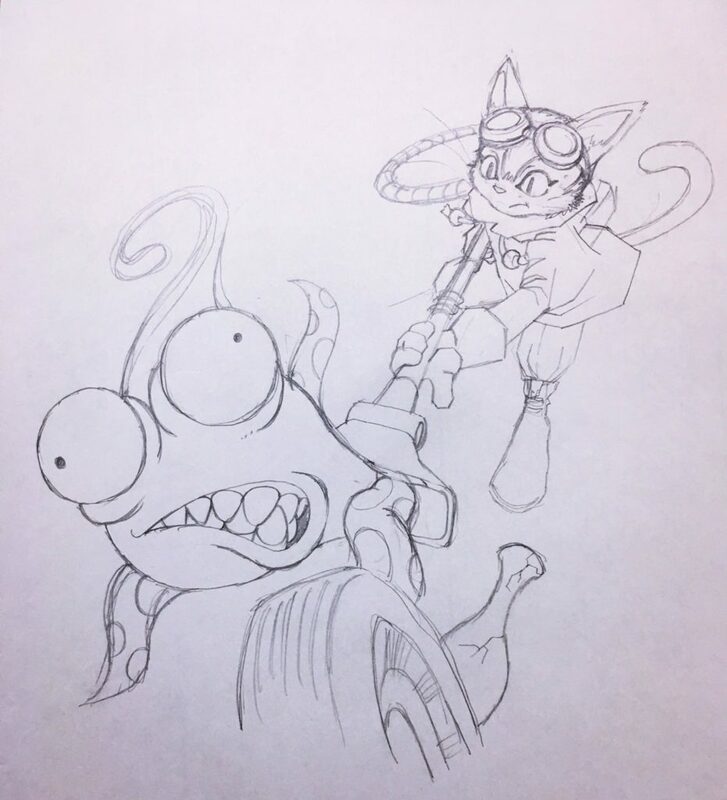 Details from the issue have been shared by Sonic Retro forum member Effexor, and it appears this version of the game will be very unique and not just a port. * The Nintendo 3DS version is being co-developed by Sonic Team and Dimps. 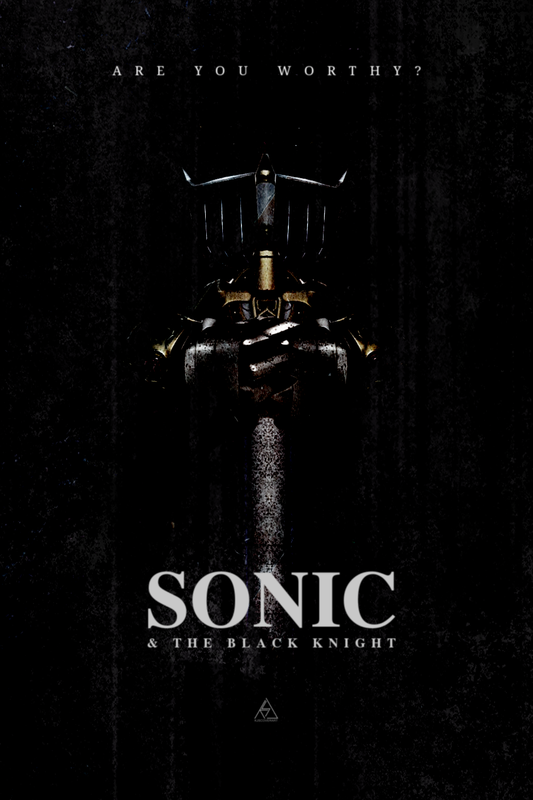 * The director of the 3DS version is Tetsu Katano, who directed Sonic and the Black Knight. 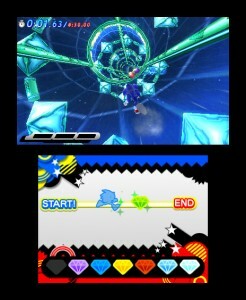 * 2D side-scrolling gameplay for both Classic Sonic and Modern Sonic. * Momentum based gameplay and platforming are fully featured in the Classic Sonic gameplay. * Modern Sonic plays a lot like the Sonic Rush games and Nintendo DS version of Sonic Colours. * Nintendo 3DS version will have exclusive stages and boss stages. * Green Hill Zone will be the only shared stage in both the HD console version and Nintendo 3DS version. 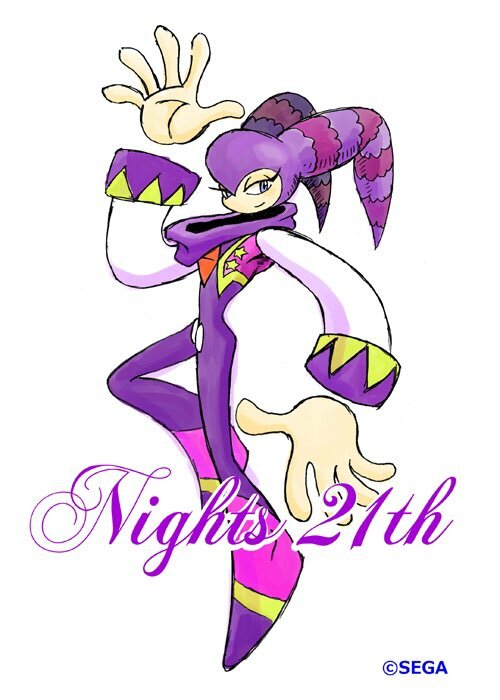 * Casino Night Zone from Sonic the Hedgehog 2 is confirmed for the Nintendo 3DS version. * Story has some differences between the console and Nintendo 3DS versions, but will be fundamentally the same. * Console version will have many characters, but the Nintendo 3DS version will only feature the ones who are integral to the story. * Sonic the Hedgehog 3‘s Launch Base Zone ‘Big Arm’ boss fight is in the game, which suggests that stage is also in the game. 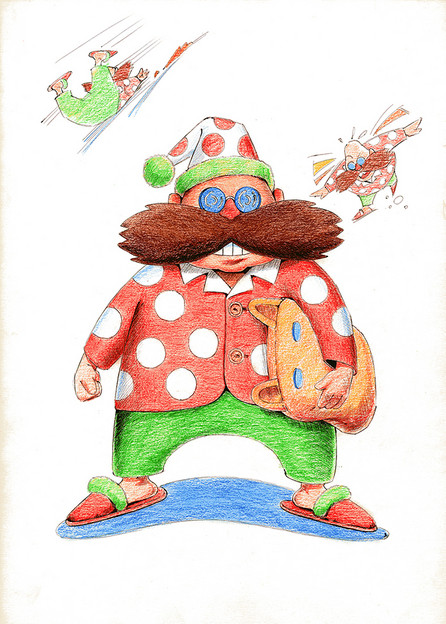 * Classic Eggman appears in the above mentioned boss. * Exclusive to the Nintendo 3DS version are challenges that you can unlock via StreetPass or Play Coins. * The game also features an exclusive two-player race mode via local wireless connection. * Modern Sonic stages take advantage of the 3D feature more than the Classic Sonic stages. 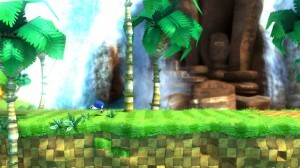 An example shown and detailed is a part in the Green Hill Zone where Modern Sonic smashes through the bottom of a giant totem pole. The camera then moves to the front of Sonic and lets you see the rest of the pole collapse behind Sonic as he escapes. * The 3D depth is also highlighted when Modern Sonic occasionally moves between the foreground and the background. * Jun Senoue and his music team are working on the music for the game. * Nintendo Power thinks the handful of tracks they’ve heard so far are “fantastic”. * Special Stages are confirmed and are designed in Sonic Heroes style. As expected, you earn Chaos Emeralds from these stages. Whether or not Super Sonic will be your reward for earning all Chaos Emeralds is unclear right now. For more information, screenshots and interviews with Takashi Iizuka and Jun Senoue, pick up a copy of Nintendo Power when it hits retailers later this week. Thanks to Blue Blood for the heads up! Note: Links to scans are not permitted, so please keep them out of the comments section. Any comments with links to scans will be edited/deleted. Australia’s Classification Board today approved a demo for Sonic’s new PS3 and Xbox 360 title Sonic Generations. The board rated the demo ‘General’, which deems it fit for all audiences to play. With the demo being rated now and the full game not due out until the holiday season later this year, could we be getting to download a sample of the game sooner rather than later? A demo for Sonic the Hedgehog (2006) was released on Xbox Live Marketplace in September, rather than around the full game’s November release, as with most game’s demos. There’s always the possibility that this could just be a rating for a demo being shown to the press and/or public at various events though, so don’t get your hopes too high. 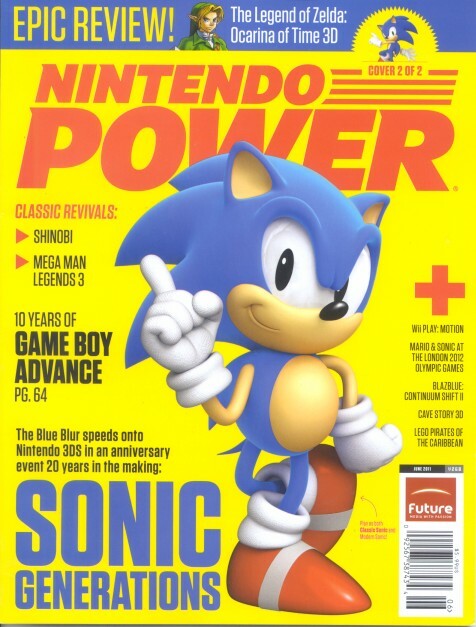 Sonic’s 20th Birthday is June 23rd and we’re sure a demo release around then would be a welcome surprise for fans.